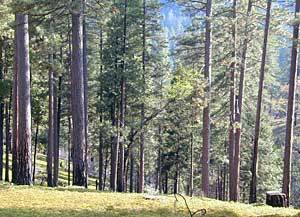 Good camping in forests near rivers and within the historic Gold Mining Country of California. 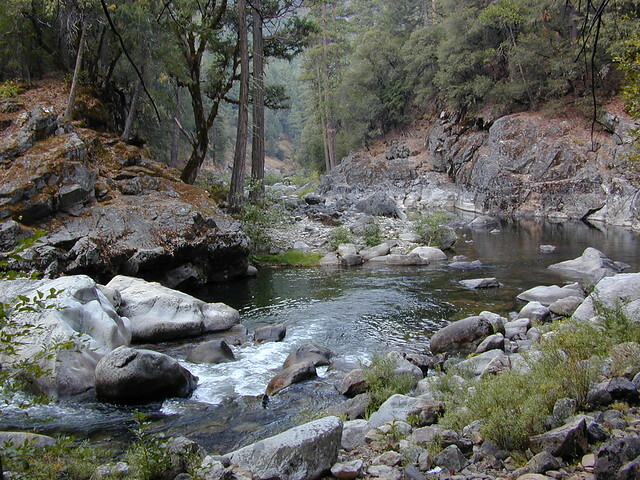 River and creekside campgrounds are plentiful. 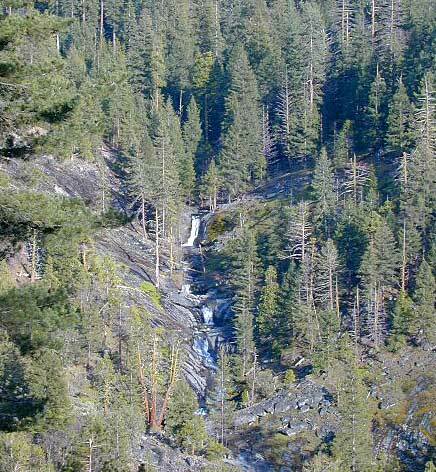 Free camping, or dispersed camping, is abundant on the lower elevation back roads in the Sierra Nevada foothills. Upper Hell Hole 15 5200 pines vault none Georgetown Distr. Foresthill 36 mi. east via Mosquito Ridge & French Meadows Rd. to south end of French Meadows Reservoir, turn on Forest Service Rd #48, gravel road & go 12 mi. to the campground. Trail is located a mile beyond boat launch. Foresthill CA: Forest Service Rd #48 = 36 mi. east via Mosquito Ridge & French Meadows Rd. 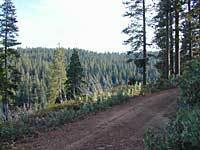 to south end of French Meadows Reservoir, turn on Forest Service Rd #48, gravel road & go 12 mi. to the campground. Plenty of good dirt roads in the area. Some route will require 4x4 vehicle. ElDorado boasts the best of both worlds. Awesome, small, lesser-known campgrounds and limitless dispersed camp sites. Find your own private river retreat - well away from the crowds. Two narrow Sierra highways wind thru the mountains - Highway 4 and Highway 88 - pick one and then start to explore. Secluded fishing, RV campgrounds, recreational lakes, creekside free camping. If you are tired of crowded family campgrounds, then get yourself a free camp fire permit, area map & get out to explore these ElDorado backroads. You will find secluded riverside camps, plenty of tall shady pine trees & maybne even an old mine. But please respect the private property signs, or you may end up with a shotgun blast warning. 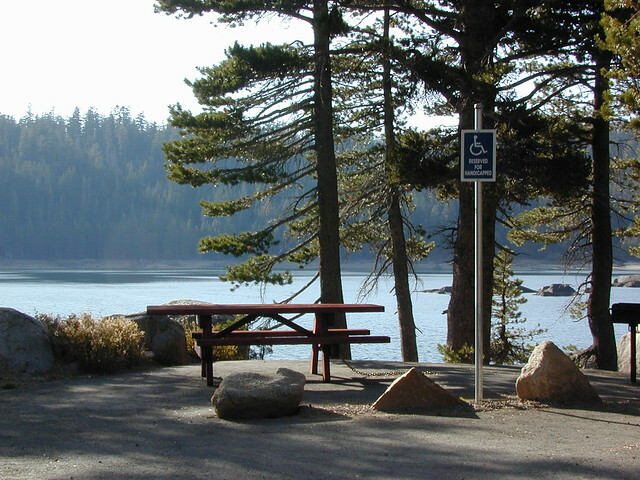 Sly Park Recreation Lake, also known as Jenkinson Lake, has a whopping 185 campsites around lake. Summer can be busy. Good trout fishing and water skiing. Horse corrals camps are available. To stay out of the large campground, keep to the nearby backroads. 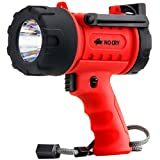 for all kinds of primitive camping options. Just make sure you have your free ranger issued fire permit .